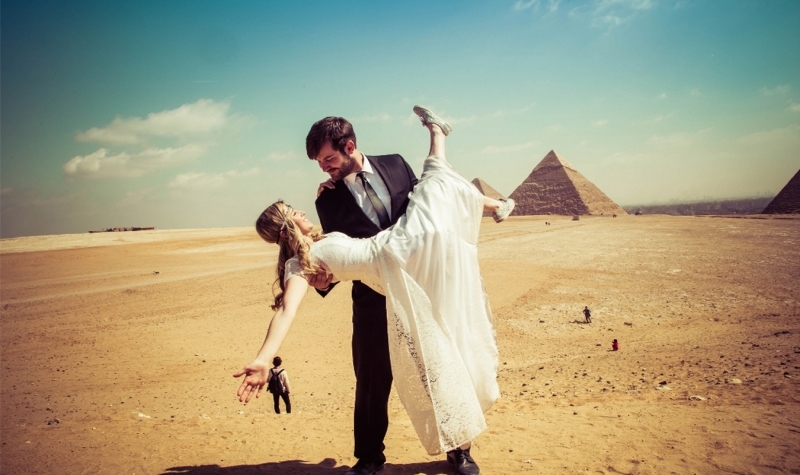 The pyramids have captured the imaginations of people for centuries. Perhaps because they are part of the glory of Ancient Egypt. Perhaps because they continue to mystify us as well as the best and the brightest scientists and scholars. The facts provided here are merely a “starter kit” of knowledge available about the fascinating pyramids. 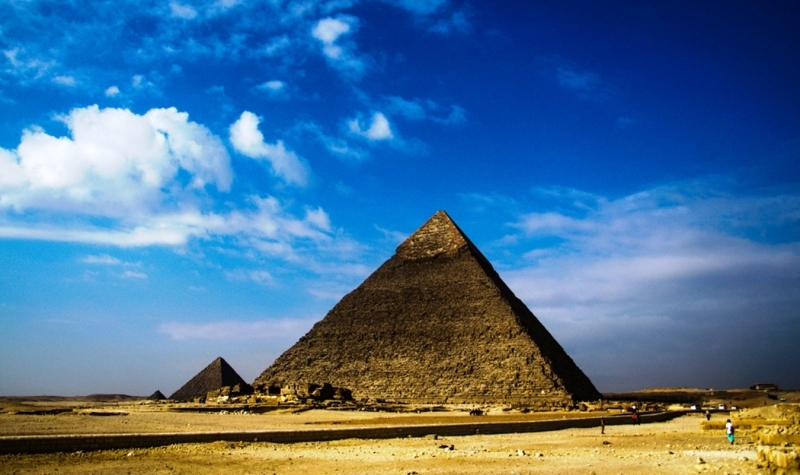 1- The first and largest pyramid of Giza was built by Pharaoh Khufu c. 2550 BCE. It is the Great Pyramid. The second smaller pyramid was built by his son, Pharaoh Khafre, and the third and still smaller by Khafre’s son, Pharaoh Menkaure. 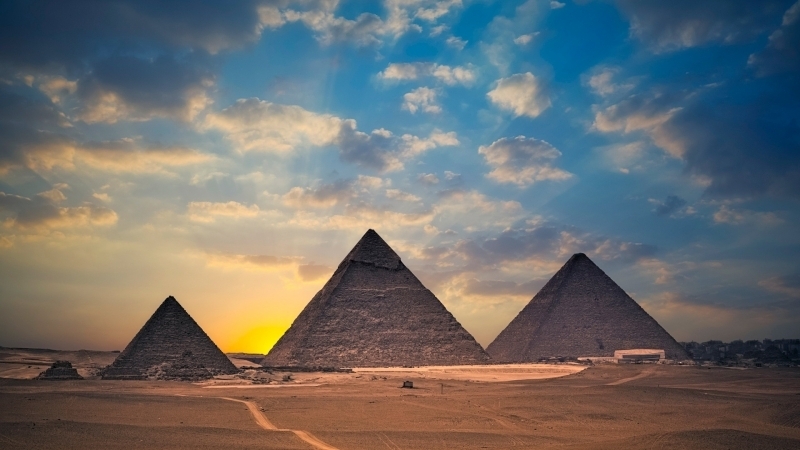 2- The sizes of the pyramids were not based on status; it was the result of the diminishing economy. 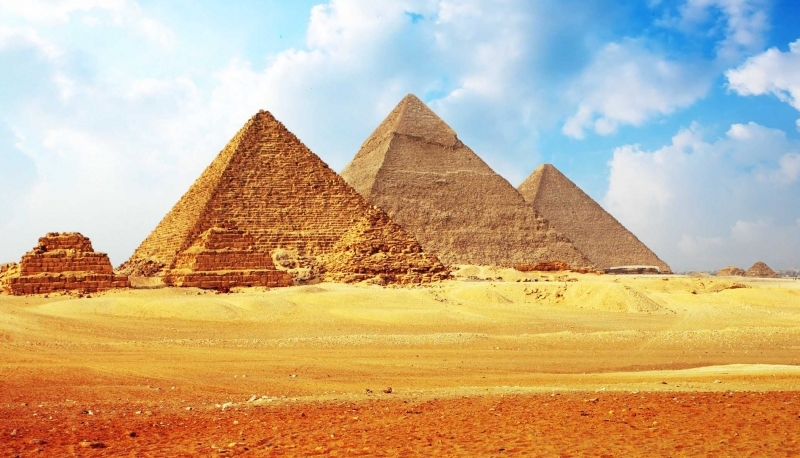 As the government built more and more grand buildings, fewer resources were available for the pyramids. In fact, Menkaure’s son, Pharaoh Shepseskaf, was unable to build a pyramid for himself. 3- Scientists and scholars have never been able to determine how the pyramids were built, but they now know that the builders were skilled Egyptian workers who were housed in a nearby community and paid for their labor. 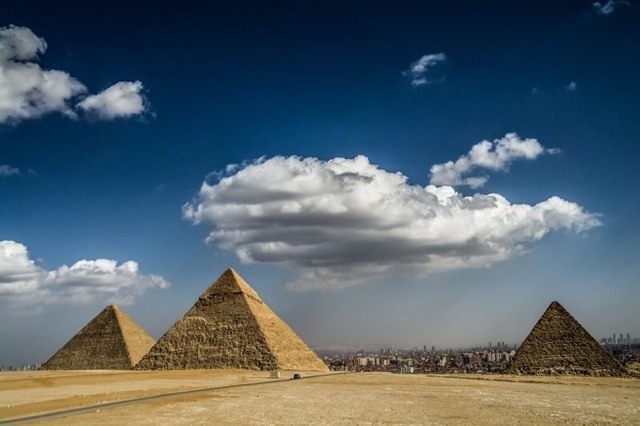 4- Today Giza looks like an isolated plateau of monuments, but at the time the pyramids were being built, it was a thriving community with temples, shops, a marketplace, and housing. 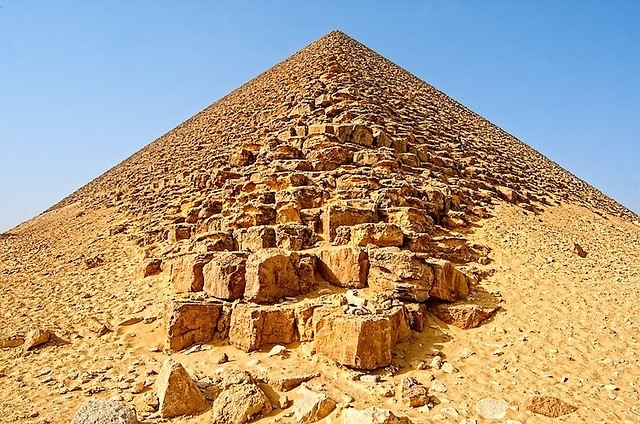 5- Experts agree that the pyramids were built from huge blocks carved out of stone quarries with copper chisels, each blocking weighing anywhere between 2.5 to 15 tons. 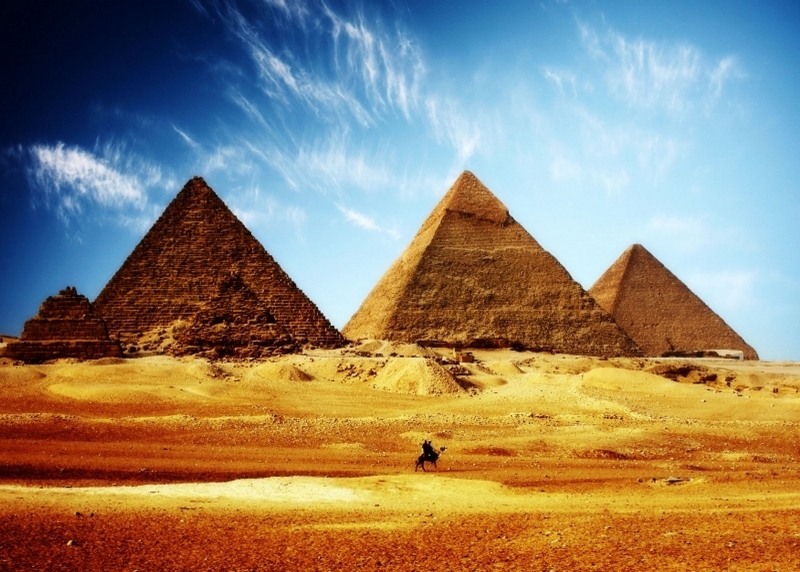 6- The pyramids were covered with casing stones made of highly polished white limestone that glistened in the sun. It was said that they could be seen from the mountains in Israel. 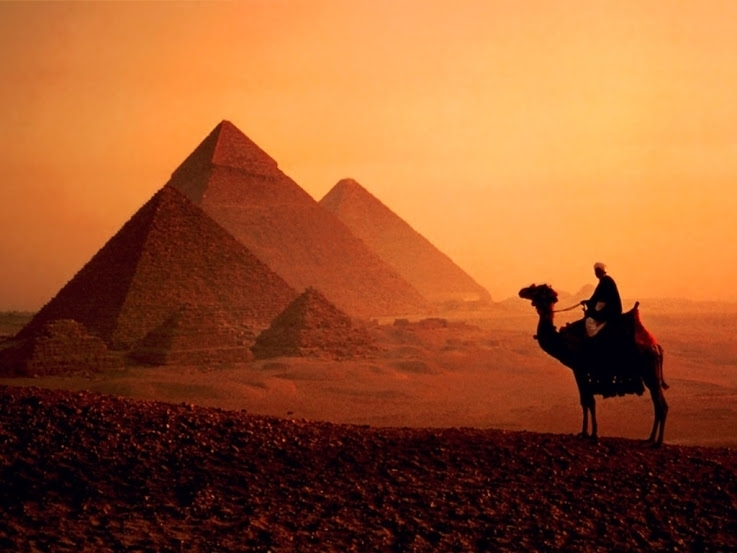 7- The pyramids face true north. Since there was no Northstar at the time, no one knows how the Egyptians achieved such precision. 8- The Great Pyramid held its position as the world’s tallest man-made structure for 3,871 years until the central spire of the Lincoln Cathedral in England was built in 1311 CE. 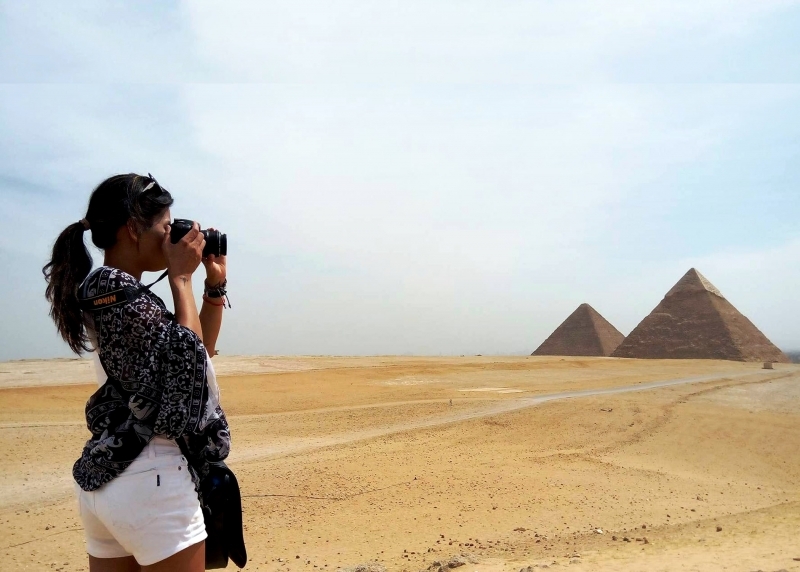 The pyramid is 146 meters (479 feet) high. The spire 160 meters (525 feet). 9- Khaemweset, son of Rameses II, is considered the first Egyptologist. 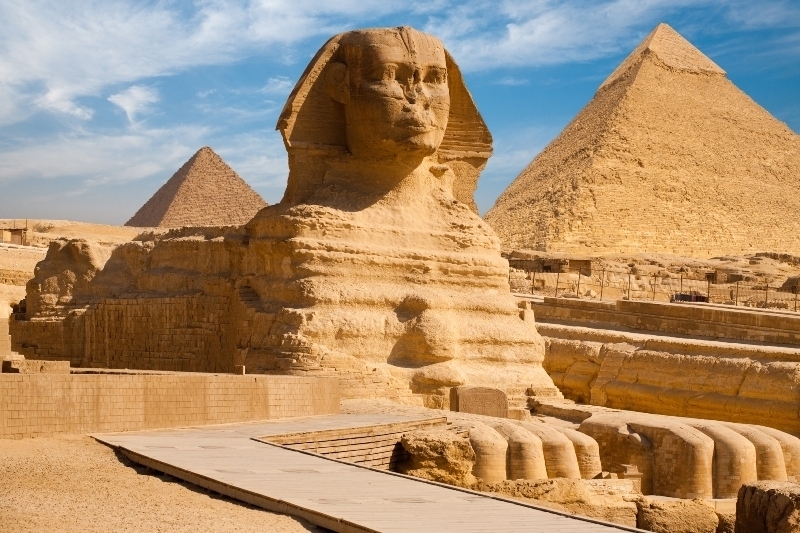 By the time of the New Kingdom (1570-1069 BCE), Giza was abandoned and the pyramids vandalized and looted. Khaemweset dedicated himself to the study, restoration and preservation of Giza, which flourished until the Romans took over Egypt in 30 BCE. 10- In 1798, Napoleon landed in Egypt with 400 ships, an army of 54,000 and a team of scholars and scientists who, in 1809, produced Description de l’Égypte, a comprehensive history of Ancient Egypt, which generated a fascination with Ancient Egypt throughout Europe. 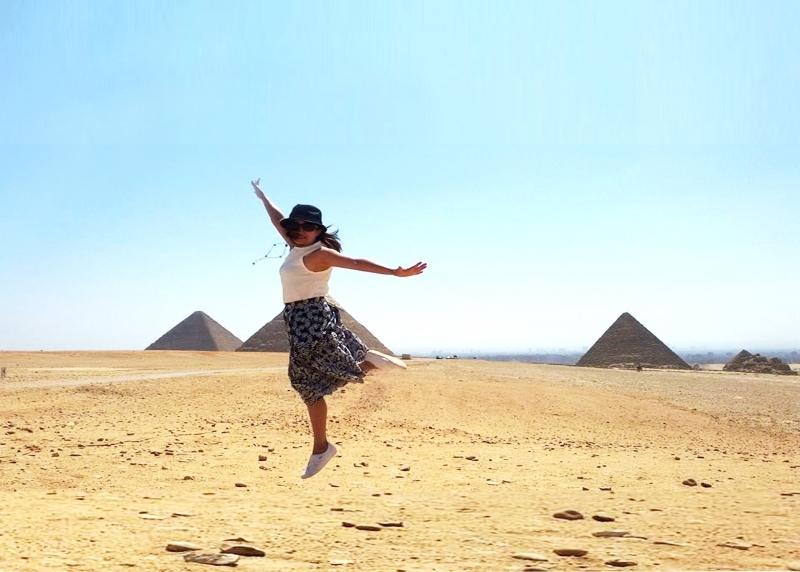 11- In spite of the blistering heat at Giza, the temperature inside the pyramids stays relatively constant, around 20 Celsius (60 F). 12- The most recent mystery of the pyramids is what appears to be a giant cavity in the Great Pyramid. It is not accessible. No one knows why it is there. It was found by an international team of researchers using muography, a technology that senses density changes inside large rock structures. And now the experts have something else to hypothesize about and debate. 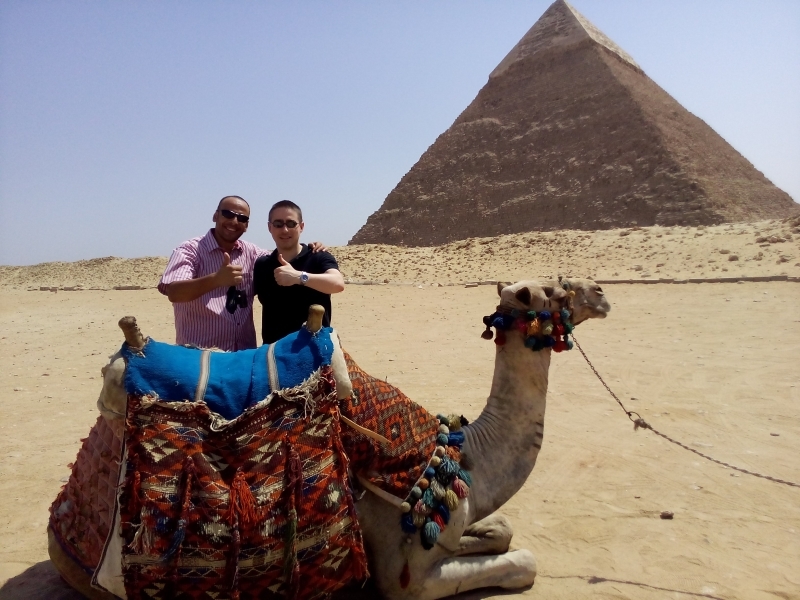 The Pyramids Of Giza is one of the most important seven wonders in the world that everyone wishes to visit more than once in life, Visit the marvelous Pyramids through our Egypt Classical Tours!